The Seventh Pay Commission had recommended the clothing allowance based on the feedback from soldiers regarding quality and inappropriate fitting of dresses provided to them. 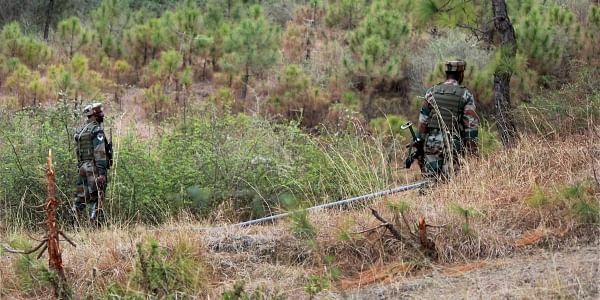 NEW DELHI: After months of deliberations, the Defence Ministry has approved a list of items which will have to be purchased by each soldier from an annual clothing allowance of Rs 10,000, official sources said. The clothing allowance was recommended by the Seventh Pay Commission in lieu of personnel clothing which was earlier being provided through ordnance factories, they said. Soldiers and Junior Commissioned Officers (JCOs) will now be required to procure clothing items, including summer uniform, shirt angola, woollen jersey, mufti dress and accoutrements like lanyard, belt, badges, ribbons, chevron and formation sign using the clothing allowance, Army and Defence Ministry sources said. Yesterday, Defence Minister Nirmala Sitharaman finally approved the list of items that will now have to be purchased by each soldier from the clothing allowance now sanctioned, they said. All other clothing items, including combat dress, physical fitness training kit as also the newly-introduced improved physical training (PT) shoes, will continue to be issued to all soldiers from the military stores as authorised items, the sources said. Recruits will also continue to get additional dresses during recruitment training as before. The items which will be supplied to the soldiers from military stores also include blankets, ground sheets, raincoats, mosquito nets etc. Special clothing items that are authorised to soldiers when deployed at Siachen, super high-altitude and extreme cold climate areas will be issued as per present procedures, the sources said. "Dress allowance caters to meet the long-due aspiration of soldiers who wanted well-stitched and well-fitted uniforms," said an Army official. It was, hence, decided that provision of dress material and allowing soldiers to get it stitched as per their individual fitment would be a better option, the sources said.